It’s the stuff of science fiction, but Volvo has demonstrated it can create an inflatable car seat that’s as safe, if not safer, than other rear-facing seats. Able to inflate in less forty seconds, and weighing less than five kilos, this amazing seat can even be inflated remotely via Bluetooth. 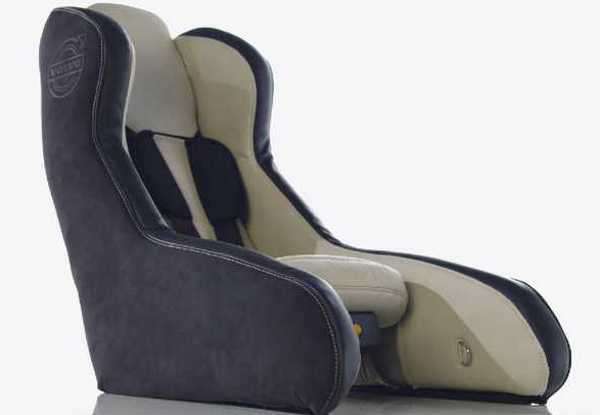 Volvo has long been at the forefront of child seat technology, and is now on the verge of one of the largest revolutionary leaps in the industry, revealing a concept child seat which would inflate incredibly quickly and be ultra light and portable. The concept would revolutionise travel with children, which can be difficult when lugging bulky car seats from rental cars, to taxis and on planes.The inflatable car seat is so compact it folds down into a backpack. Have a look at the amazing video below to see how it works. Here’s how it would work: the seat has a silent pump system, inflating in less than forty seconds and deflating with an integrated pump. The seat is constantly online via Bluetooth, which would mean it could be inflated remotely. Volvo’s inflatable car seat is just a concept at this stage, but we’ll let you know if it looks likely to make it to the market. For our top 10 tips on child car safety click here.